My Nikon 1 J1 should be here tomorrow, If I like It I will be ordering a couple chips. I want try It with My MD lenses and My cine and TV lenses. I tested 2 chips on a Nikon 1 S1 (Firmware A and B is 1.00). Result: The Chips doesn't work with the Nikon 1 S1. On my Nikon 1 V1 (Firmware A and B is 1.30) both Chips works well. The only chance is now to update the Firmware for Nikon S1 to the latest version. For the S1 its Version 1.10 for A and B. Can you program these chips to give the correct exif information/. i.e focal length and max aperture? 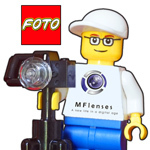 I updated the Nikon 1 S1 to the latest firmware version. No change. Then i reseted all what was possible. Same result. So my conclusion is: The Nikon 1 AF Chip from Gfotosore works definitly not with the Nikon 1 S1. As said above, with my Nikon 1 V1 both Chips are working well. Today i received another Chips from Gfotosore, which i ordered for my "Nikon-1 to 52mm retro" -Adapter to adapt Henry's VmFT-System to my Nikon 1 V1. This chip has a new firmware and works now with die Nikon 1 S1 too. I received My Minolta MD chipped Adapter today. I decided on buying an Adapter instead of just the chip. Glad I did. Adapter fits perfect. Im using It on My J1. I just need time to shoot with It. I tried It with one of My Minolta Rokkors 50 1.4s. Sweet combo. I want to try It with My Minolta Leica 35-70 3.5 and 80-200 f4. Now I need to save for a chip for My cmount Adapter. Posted: Tue Apr 15, 2014 5:48 pm Post subject: How do I buy in the UK? Hi - I can't get an eBay.com account as I live in the UK - is there a way to buy in the UK? I am lucky. I bought one chip on march 3rd and according to the listing on ebay it was not said to work on S1 yet. But it works great with my S1 and my J1! I might buy another one for another adapter. Too bad the chip is not exchangeable from an adapter to another! But oh well. Thanks for that so great product. Genius! All chips from 1 of march have 1.1 firmware and support all current Nikon 1 models, include S1, AW1, V2 and so on. Posted: Sun May 04, 2014 3:41 pm Post subject: Re: How do I buy in the UK? Please fill free to contact us directly by sale@gfotostore.ru, more info on info.gfotostore.ru. We can ship wordwide from Russia or Belarus. Yes, you cannot change chip from one adapter to another, but now we have some special anylens adapter, will be available on ebay once we finished to translate description. Very nice idea. Too bad I ordered my second chip already lol! But i have two questions: Will you sell the adapter only without chip? And will this adapter fit C mount lenses as well? Just got my chip for my Nikon 1 S1 and it works only "ok" in P mode (programmed auto) the aperture jumps around between 1.4 and up to 2.2 and makes darker than expected photos on occasion. In M (manual mode) the aperture locks at 1.4 and the shutter can be adjusted to any setting. The AV+/- on the right of the screen will indicate if the photo is under or over exposed so the shutter speed can be adjusted accordingly. This mode is best for most work. In A mode (aperture mode) it works ok but everything is automated as it lock the aperture at 1.4. So like full automatic. One problem is that in any mode after 1 minute of no buttons being pushed the camera goes into sleep mode and will not "wake-up" when the shutter is pressed. This can be adjusted to power off at a longer time like 10 minutes to prevent this issue. In addition, sometimes it will turn back on after the required 3 minutes that causes it to power-off and sometimes it will not and must be disconnected. The focus assist seems fairly robust with my 70-200mm and 500mm AND the focus 10x magnificant assistant works fabulously on my 500mm and a little less sharply on the 70-200mm but ok overall. This 10x assist works with or without the in camera focus assist turned on in the camera's settings. Yes, with all up to 1.4. I am glad I ran into the thread. I just ordered the chipped adapter v1 to M42. Despite all the negative press it received at launch, I have found the V1 to be, overall, a very neat camera. I've had a lot of fun with mine. I know this is a manual focus forum, but, when it comes to focus quickness and accuracy, I am not sure there is another camera out there to compete with it. This is not to mention the great telephoto range it allows with the 1" sensor. Posted: Sun Sep 20, 2015 4:48 pm Post subject: Good news! I have good news, we finally finished our test with V4, J4, and J5 and can confirmed that chip work with all Nikon 1 cameras. I bought one of these chips on the strength of this post and BOY does it make a difference! Focusing is spot-on and auto exposure is great. I found the Aperture priority exposure is best for my needs, couldn't seem to make P work. No biggie. I couldn't figure out what the red thing was for - mainly because the chip was slotted into it in the packet, I thought it was supposed to be. But the red thing clips on to the Nikon flange and slots into the lens lock hole. This gives the precise location to affix the chip. I rubbed gently over the inside of the chip to 'key' the glue and filed the inside of the mount lightly too. The chip was held in place with tape and a drop of epoxy resin was put over the tiny fixing guides. I bought a J1 and lens for £40 a while ago to try it out, and although it's great little camera with lovely image quality, manual lenses have been a pain to use on it. I use FF now as wides are my type of lens, but the Nikon 1 is perfect for long focus - birding and moon photos with a 500mm mirror - and this adapter makes it so easy now.